My new entry over at CNET Asia Community Blog is up. This week’s entry, “Earth Day 2008 @ Cyberport, Hong Kong”. Click here for the read. [27 March] According to Engadget’s sources, the UMPC will be hitting the streets on 7 April. Love that screen size and VIA processor, no word on battery life yet. 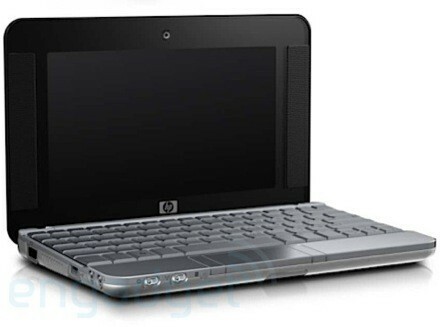 One thing for sure it would be tough competitor for the ASUS Eee PC and the Everex CloudBook. For more info, check out the article from Engadget here. 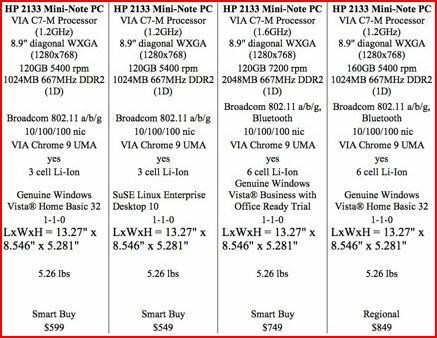 [Updated: 29 March] Following Heyman’s comment on the HP 2133 UMPC’s weight, I went and double-check, the guys over at UMPC Portal listed the weight at 1.3KG, which makes more sense. Time for some boring news regarding Li Ka-Shing and Facebook, source from Reuters. SAN FRANCISCO (Reuters) – Social networking site Facebook has closed a second $60 million investment round with Hong Kong billionaire Li Ka-shing through his foundation, a source familiar with the deal confirmed on Thursday. The source said the deal, which boosts Li’s holdings in Facebook to $120 million, including an earlier $60 million round late last year, is valued on the same $15 billion terms as a $240 million stake Microsoft took in October. Li’s investment was made by the Li Ka Shing Foundation. Li-backed companies such as Hutchison Whampoa Ltd and TOM Group were not involved, the source said. The stake boosts Li’s holdings to a 0.8 percent share of Facebook while Microsoft’s holds another 1.6 percent. A Facebook spokesman declined to comment on Li’s stake. MarketWatch broke details of the story earlier out of Hong Kong, quoting Li as saying “I may raise my investment in Facebook — anything is possible” during an earnings conference call for his company Hutchison Whampoa. But the report did not detail the scope of his investment. Founded in 1980, the Li Ka Shing Foundation has focused on funding a variety of health, education and environmental projects in recent years. In prior rounds dating back to 2004, Facebook has taken about $40.7 million from venture capital investors including PayPal co-founder and former CEO Peter Thiel along with Accel Partners, Greylock Partners and Meritech Capital Partners. PLEASE READ THE INFORMATION BELOW BEFORE ASKING WHERE THIS EVENT IS TAKING PLACE. This happens in your home or your workplace at 8pm (your local time) on March 29th WHEREVER YOU ARE IN THE WORLD by simply turning off your lights, your TV, your dishwasher, your heating or a/c. You don’t have to be in Toronto (they won’t let me not put something in that spot) or a major city to participate. 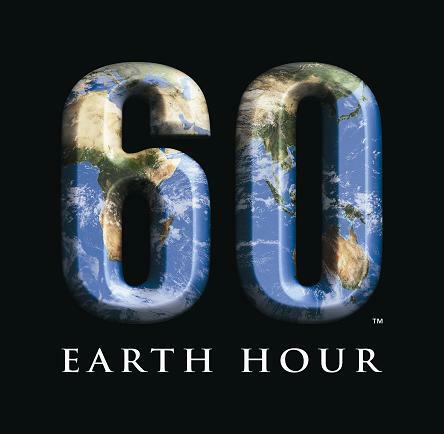 On March 29th, 2008 at 8pm local time Earth Hour will commence ALL AROUND THE WORLD. Be part of making Earth Hour 2008 a huge, global success by telling your friends and family. Remember, every single light makes a statement and makes a difference. Last year, on 31 March 2007, 2.2 million people and 2100 Sydney (Australia) businesses turned off their lights for one hour – Earth Hour. This massive collective effort reduced Sydney’s energy consumption by 10.2% for one hour, which is the equivalent effect of taking 48,616 cars off the road for a year. For more information, go to http://www.ssa007.org/. Hmm… not a UMPC, but a HDPC. 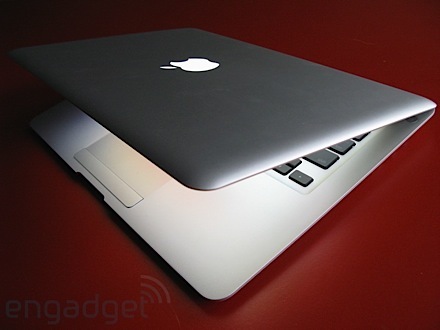 Sure looks sweet and am looking forward to its launch in July. MIU(www.miubit.com) introduced its new wireless IP-based hybrid portable device dubbed ‘HDPC (Hybrid Dual Portable Computer)’ in Korea market, which is equipped with dual OS(Windows XP/Windows CE 5.0 or Linux Qplus). Adopting a keyboard of general PC and a 4-inch display with 800×480 resolution, the HDPC supports dual-mode function and wireless internet function. It is the concept that user can make a choice of any type of soft/hard ware according to users’ needs. As the name ‘HDPC’ signifies, user can converge the stand-alone technologies of existing portable devices such as car PC, navigation, mobile phone, PMP, mp3, UMPC, electronic dictionary, internet phone, PSP, digital camera, voice recorder, mobile IPTV into HDPC. 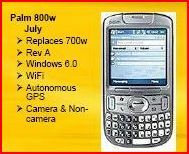 The HDPC is expected to be available in July 2008, and the price would be between 400,000(KRW) and 500,000(KRW). [22 March 2007] So, sitting here pondering. A little more than a week from the Rugby Sevens and still no luck in getting tickets (last offer I got off some forum was $2,800 for 3-day pass, gee). I am now starting to make up stupid excuses for myself for missing the event and I came up with the best one, SMOKING is banned in the stadium, LOL. 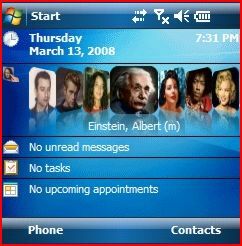 [Updated: 25 march 2008] Hmm… where are all my CX friends when I needed them. Hopefully I can grab a few tickets fast before Friday. What’s the going rate for 3-day pass these days BTW? anyone? Email me at gadget@hkphooey.hk if you know anyone selling, thanks in advance. If you like the iPod coverflow, you’re gonna love this application to death. It’s the Face Contact from CNetX (US$14.95). It’s a today plugin application where you contacts can be swiped left and right exactly like the coverflow. 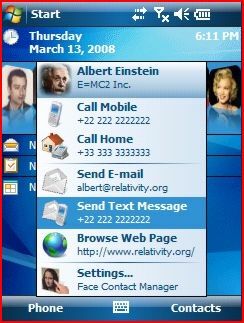 Once you hit the contact you want, you have a choice to call, send email, SMS or browse their homepage. Really nifty application and I’m loving it the minute I installed it. Bummer, I spent US$19.95 on FunContacts (thought that one was cool, this one even better). I like Pocket CM Keyboard a lot not because it’s free, but the touch is really sensitive and seldom do I miss on any of my key inputs. But the downside is that since it’s still in beta, one have to go back and re-install it every now and then since the beta copy have a time-out function on it, real pain. This week, I found ZoomBoard (US$9.95), another nifty keyboard input application from VITO technology. The input is accurate and quick, that is without the zoom function on. I personally turn off the zoom function but others might find it useful to double-check what key they hit. You can get ZoomBoard from the link here. You figure this one out. “This notebook is beautiful, innovative, mobile and quite functional and hence is very appealing to users. We can definitely recommend it to many advanced users, but not to all of them. The thing is that MacBook Air is only good until you start looking at it as at a fully-functional universal computer system. This is where the new Apple solution cannot compete against other products with more ports, optical drives, wired network support, better balanced hardware configuration, etc. For full article, go the the link here. My new entry over at CNET Asia Community Blog is up. This week’s entry, “The ultra-portable laptop PC fever”. Click here for the read. [19 March] The HTC Shift is FINALLY releasing tomorrow and price tag is HK$10,880. We covered enough on the HTC Shift so not going to further delve into it. Only one comment, does the 3.6 Mbps 3.5G HSDPA and HTC SnapVUE really worth that much? Hmm… especially with all the small UMPC such as the ASUS Eee PC; Omatek E10 and Hasee Q540X spawning one after another with price tag as low as HK$3,000. Guess that’s for you to find out and for me to know.